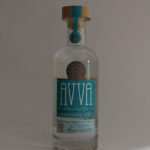 Avva Gin is made at Moray Distillery Ltd, located in the old cathedral city of Elgin and has been made in their bespoke copper still called 'J-J' named after the owner/founders grand-mothers. Moray Distillery describe this as an exclusive combination of Speyside, Highland and traditional botanicals which are distilled slowly in small batches with pure Speyside water and hand bottled at the distillery. 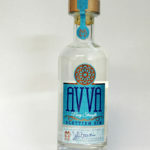 Avva Gin is made at Moray Distillery Ltd, located in the old cathedral city of Elgin and has been made in their bespoke copper still called 'J-J' named after the owner/founders grand-mothers. 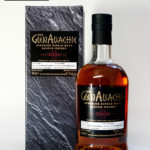 Moray Distillery describe this as being bold in flavour with juniper and coriander to the forefront which is balanced with floral-herbaceous middle notes finishing on a clean and crisp citrus-mint palate. 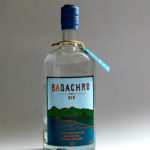 The distillery tell us 'Distilled in Badachro in the north west Highlands of Scotland, Badachro Gin is a reflection of the pure air, water and land that defines this unique and ancient land. Marrying traditional botanicals with hand picked wild myrtle, local gorse blossom and elderflower, the delicious taste of the last true wilderness is now bottled for you to enjoy.' Suggested Serve: On it's own as a sipping gin or with a premium tonic water, ice and a slice of lime. A sprig of wild myrtle adds greatly. 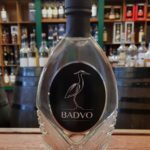 Badvo gin is 100% foraged from the hills around Pitlochry. Those hills also provide the name for the gin. Badvo is the anglicised version of their name. Helen Stewart, founder of the distillery describes the gin as "sweet and herbaceous with a wild mint finish". Made by the Hazell family on the shores of Bardowie Loch. Out of an initial list of 13 ingredients, four that were grown or gathered where the Hazells lived were chosen to contribute to the flavour of Bardowie Gin. Blackcurrant bushes that were already established when Mark and Alison moved to The Jaw provide the first botanical and the fruit flavour it provides is enhanced by the freshness of bulrush stems which smell like freshly mown lawn. This gives way to a nuttiness from ground elder which, although it is known as a pernicious weed today, was originally brought over by the Romans as a salad leaf – a function which it can still perform as well as rocket or spinach when young. 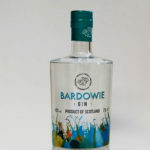 The final ingredient that made it into Bardowie Gin was Bay – from a rather large Bay Tree that flourishes outside Mark and Alison’s kitchen window; this gives a pleasant herby aftertaste to their gin. The botanicals consist of orange peel, juniper, coriander and angelica root to which are added the unique locally picked botanicals of blackcurrant, bay, bulrush stem and ground elder. The makers say 'The gin is a predominantly citrusy spirit with fresh, grassy and nutty undertones and a distinctive light, and florally refreshing experience which is ‘dangerously drinkable’.' They recommend their gin to be married with equal part fresh water and a torn bay leaf in a large glass full of ice. Alternatively, couple with a Walter Gregor tonic and dehydrated clementine for a longer drink. 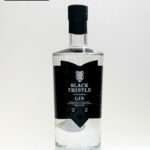 The Black Thistle Distillery is based in Brechin in the heart of Angus. 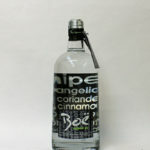 The gin is made using a variety of botanical's from the 53 different types of botanical's they have. The key botanical being Scottish Spear Thistle. The history of Boe Superior Gin goes all the way back to 1658. It was that year, in search of a medicine to cleanse the blood of impurities that the famous professor Franz de la Boe came up with a unique recipe. He created a totally new infusion of grain alcohol, juniper berries and botanicals to produce a tonic that he was sure would cure one third of all diseases. The gin is now produced in Doune using a unique blend of 13 hand-picked botanicals. 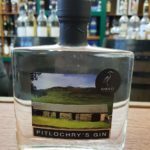 The distillery say this is made using a unique blend of botanicals with subtle notes of berry giving an intensely smooth taste to this beautifully made gin. 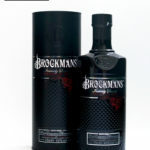 Brockmans is Like No Other gin. It stands proudly alone from the many other types of gin due to the unique recipe of exquisite botanicals and the patient steeping distillation process. To make Brockmans, exquisite botanicals are sourced from all over the world. 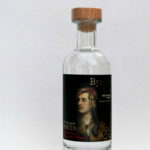 These include some typical ingredients such as angelica from Saxony, Bulgarian coriander and juniper berries from Tuscany. The more traditional notes of gin are combined with a refreshing influence of citrus and aromatic wild berry. 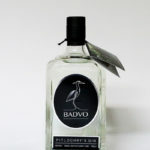 This creates an intensely smooth gin with a beautifully crafted taste that is sensual and daringly different. The botanicals are blueberries, juniper, blackberries, cassia bark, liquorice, lemon peel, corriander, angelica, orange peel, almonds and orris. 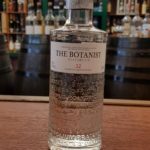 For this, "The Botanist", small-batch, artisanal Islay gin they use nine of the classic gin aromatics orris root, cassia bark, coriander seed, etc and augment these with a heady harvest of 22 local botanicals, hand-picked by their expert foraging team from the windswept hills, peat bogs and Atlantic shores of this Hebridean island of Islay. This is the first batch of Byron's Gin from Speyside Distillery. The Distillery tells us 'It has been crafted to celebrate Lord Byron's love of the Scottish Highlands which inspired him to pen some of his most beautiful and memorable poetry.' 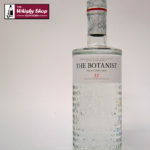 It uses botanicals from the distillery gardens and the immediate local vicinity. The botanicals are Bird Cherry, Lemon-scented Fern, Lady's Bedstraw, Rowan, Wild Thyme, Juniper and Blaeberry - all selected for this exclusive gin by Andy Amphlett for the Botanical Society of Britain & Ireland. This is the first batch of Byron's Gin from Speyside Distillery. 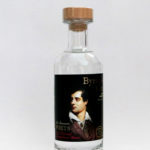 The Distillery tells us 'It has been crafted to celebrate Lord Byron's love of the Scottish Highlands which inspired him to pen some of his most beautiful and memorable poetry.' 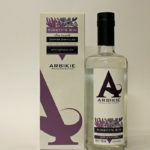 It uses botanicals from the distillery gardens and the immediate local vicinity. The botanicals are Melancholy Thistle, Sweet Vernal-grass, Scots Pine, Juniper, Rowan, Downy Birch and Aspen - all selected for this exclusive gin by Andy Amphlett for the Botanical Society of Britain & Ireland. 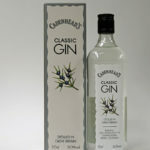 This does exactly what it says on the bottle - it is good classic gin with lots of juniper notes and it's at 50% ABV. Gin lovers will find it very intriguing.